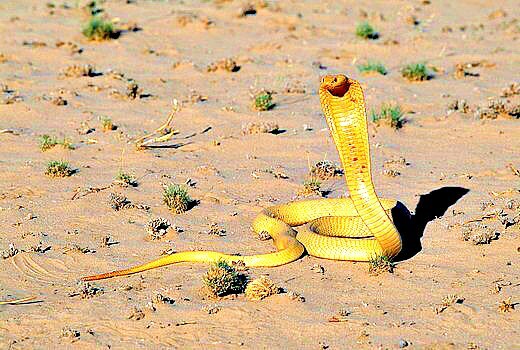 The Cape cobra is considered the most venomous African cobra, and is the cause of sudden snakebite fatalities. This snake is aggressive and will rear with its hood spread and advance in this posture if it is surprised or pursued. Cape cobras prey on rodents and other snakes.